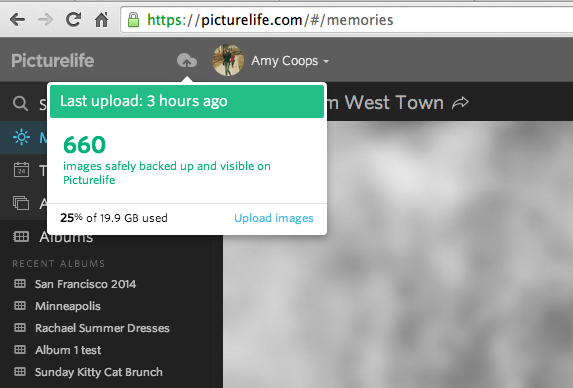 How do I know how much storage I have in my Picturelife account? 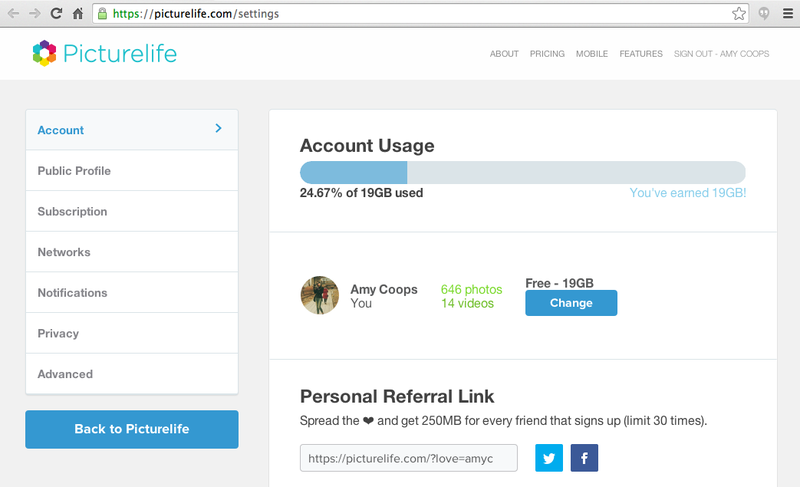 There are a few ways to find your total available (free, premium, promotional, and referral) Picturelife account storage. Click the up-arrow / cloud in the top left corner of your home page - this will open a status bar that shows your total used and total available storage. Note - that status bar won't appear until after your account's been populated with some photos. FIRST: At the bottom of the menu bar, you'll find total used and total available storage. Previous: How much does Picturelife cost?